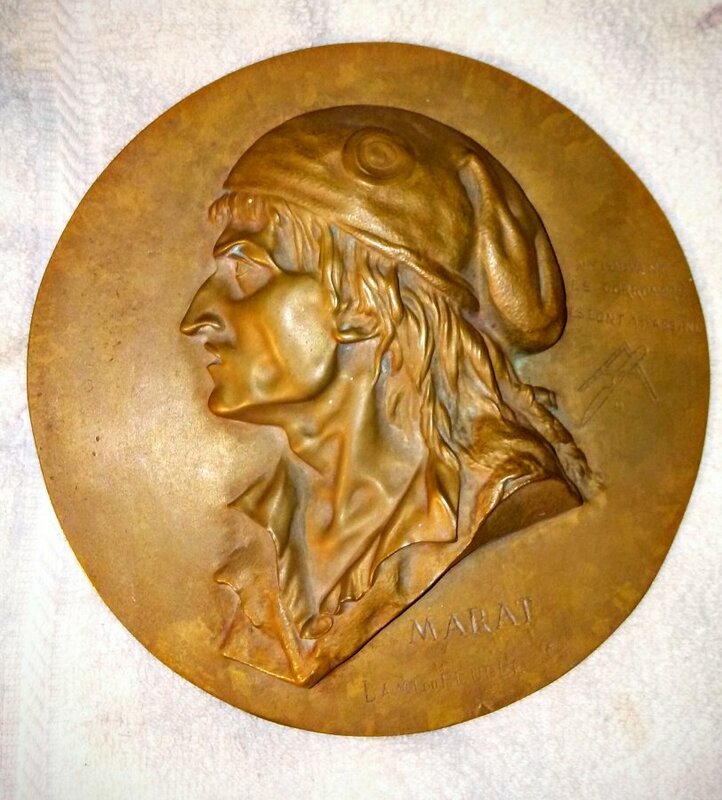 French Antique Bronze Plaque of Jean-Paul Marat of the French Revolution. Antique Portrait Wall Plaque. Vintage item from the 1800s-I don't know anything about this particular relief. It was given to me by someone who also had no knowledge about it. Is anyone familiar with this? I was going to sell it on Offerup, but I don't want to do that before I know it's value.